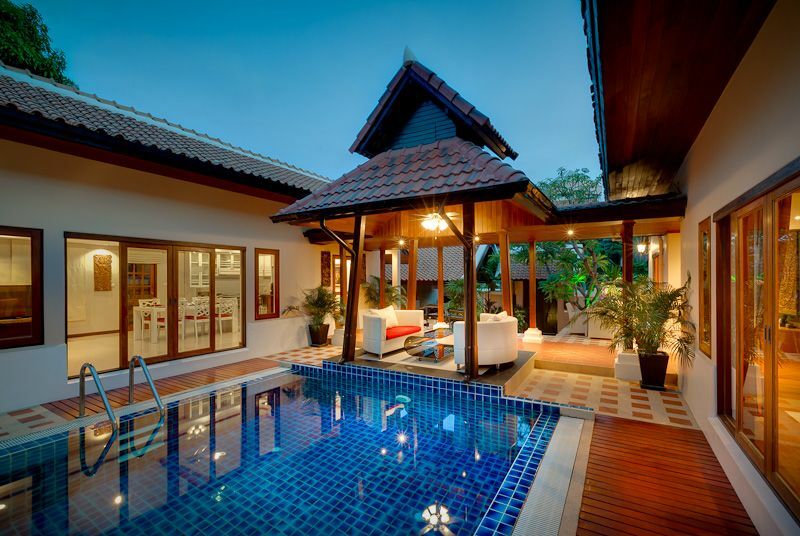 Chateau Dale Thai Bali villa. 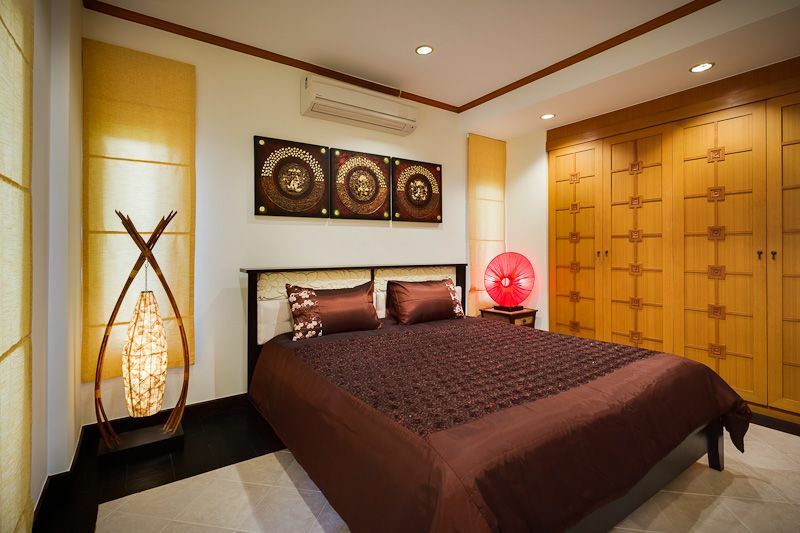 This house is situated in a village which is very secure, and is very popular with many professional ex-pats and their families, working in Pattaya or the surrounding cities. 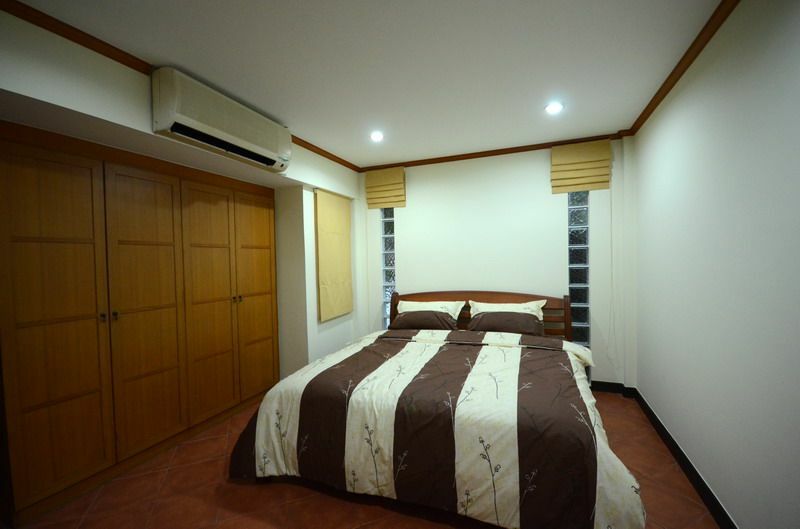 Offering easy access to all convenient highway routes, plus just walking distance to many restaurants, convenience stores, and Jomtien beach. 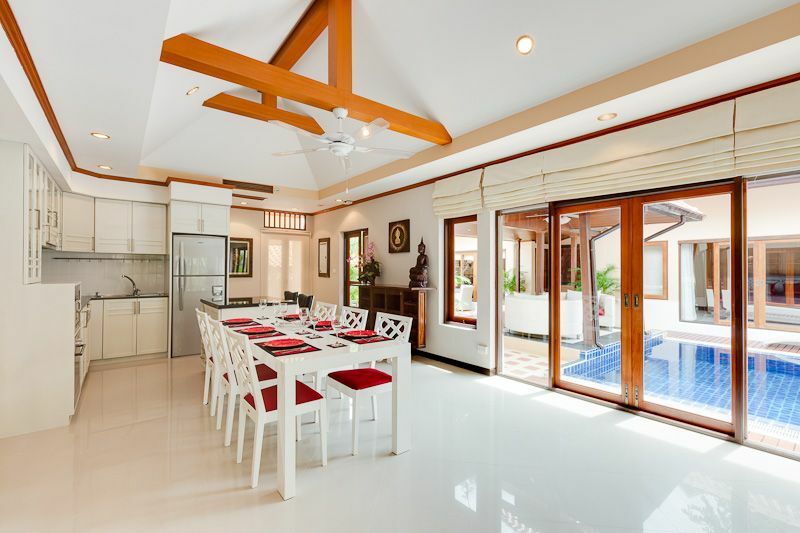 This newly renovated house has been designed in a Thia Bali theme, where the house is broken up into 2 main parts. 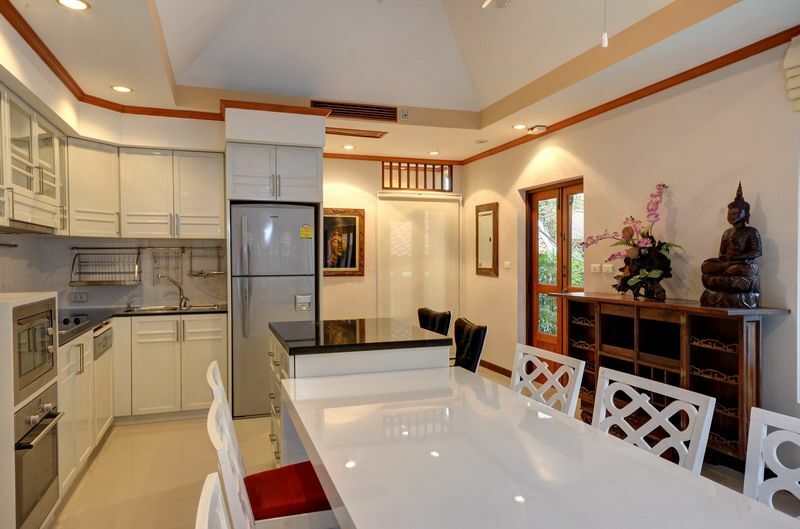 One part is designed as the living area, with large open plan living room, and European kitchen. 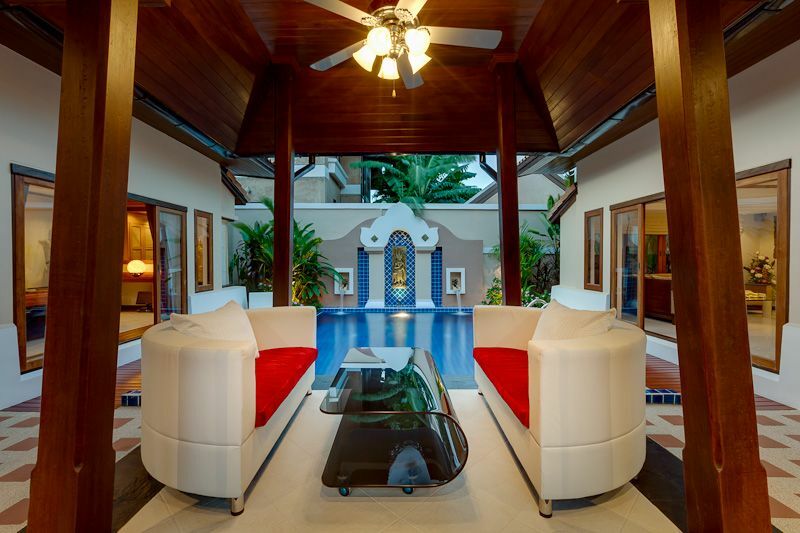 Plenty of windows, and large balcony doors out to the private swimming pool and covered sala. 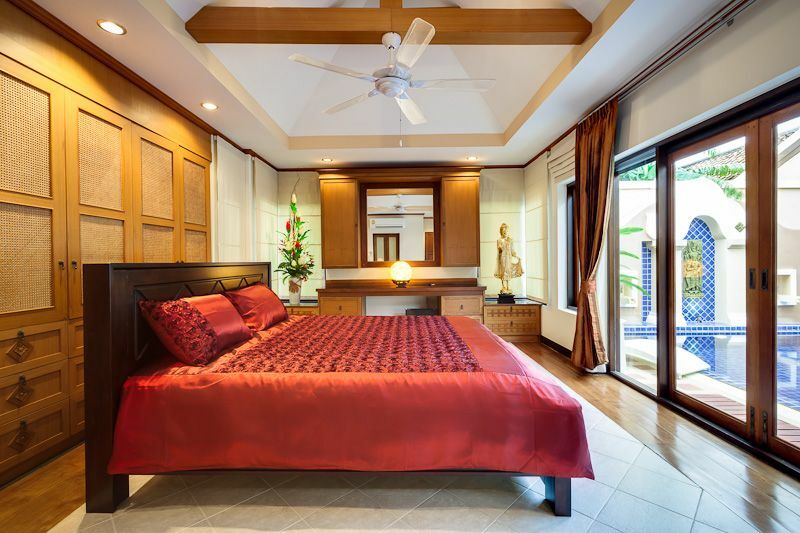 The other part of the house is the sleeping area, with 2 large en-suite bedrooms, again both well lit, with the master bedroom having access straight to the pool. 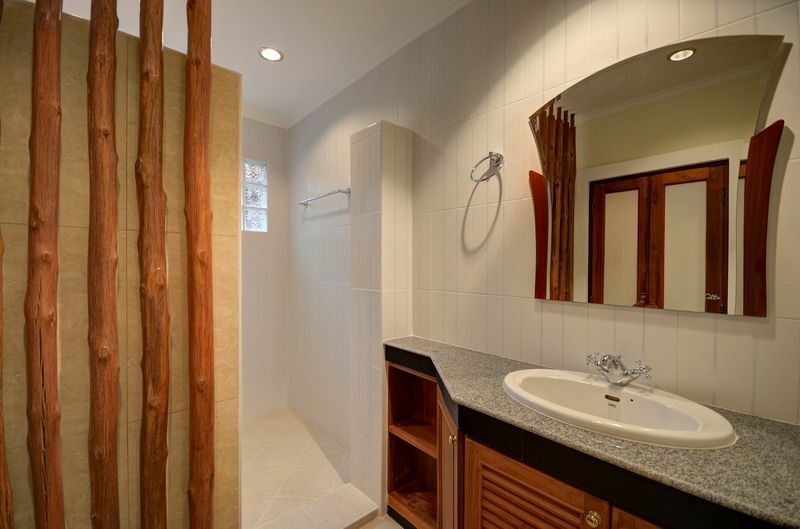 There is another bedroom to the side of the private carport, which would be treated as a private guests quarters. 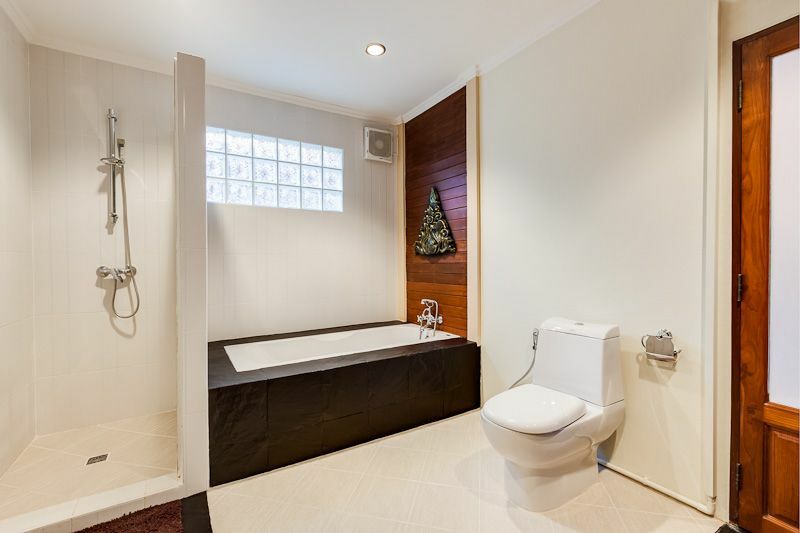 The house has been renovated completely, with absolutely everything being upgraded, and replaced. 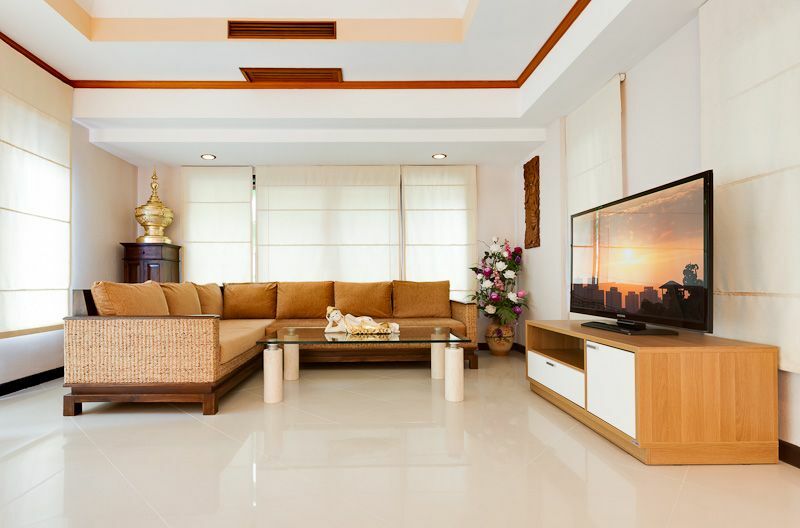 The house is sold fully furnished with every item displayed in the house, and is held in a Thai company name, and the company is sold with the property, so transfer fees are very low.